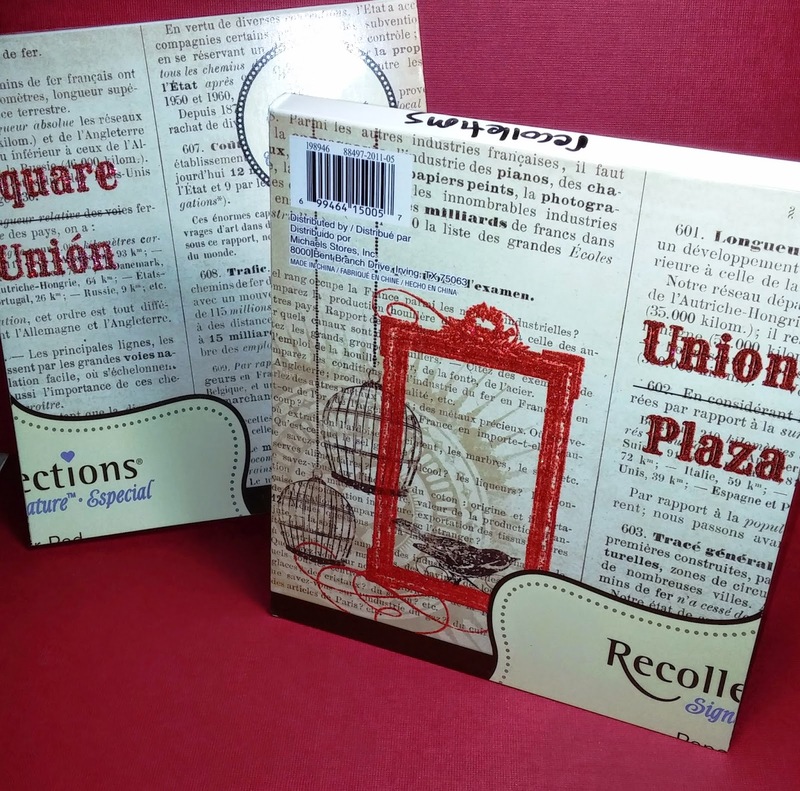 One of the fun things about blog reading and participating in challenge entries is prizes!! I thought I'd have a little contest on my blog this week!! This contest will last one week closing midnight Friday 4/25/14 , Next Saturday I will post the winner! On Monday I will mail the package, it is all ready to go!! The contest is very simple. 1) Guess how many cards I have made from this set of 6x6 (48 sheets) of paper - closest wins the prize! I will have a random draw in the event of a tie. 2) Join my blog or already be a follower! The followers gadget is on the right hand sidebar - it is easy!! 3) leave a comment with your guess! That is it Easy Peasy! Last year I chopped most of my 12x12 pads in to 6x6 pads, this made card making so much easier and fun!! With this contest I will be using one pad and the winner will receive one of the other ones! 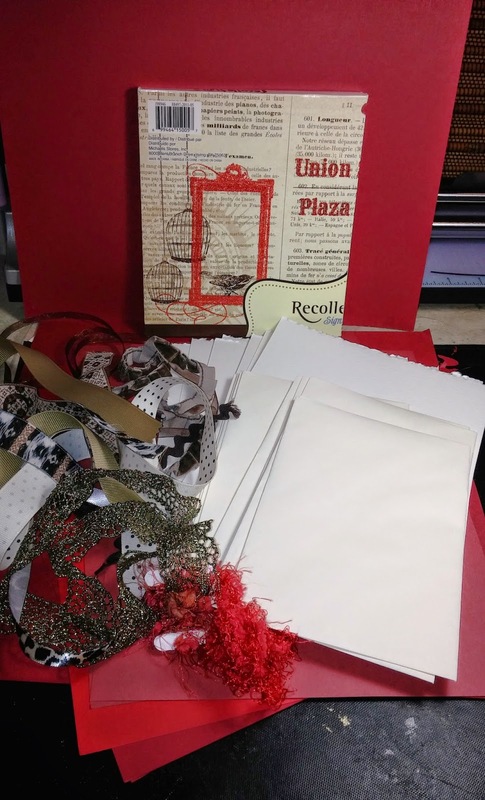 The pack also includes Strathmore deckle edge 100# paper, envelopes, 8.5x11 card stocks in shade of red and brown ( these are all 80#+90# papers) and a stamp set which is not in the picture. A hint about how many cards I will make. I don't do the type of cards where you take a 6x6 pad and make 5 cards from each sheet. I actually have no idea how many I will make, I pulled this pad and thought it would be fun to see how many I could make and even more fun to have a contest.! Will post a widget or something like that during the week with a link back to this contest so that more readers can join it. I will post pictures of the finished cards on Saturday when I announce the winner. I am going to go for double, 96 cards and please if I'm close, no prize.Pick another winner. It's just fun guessing. I have wanted to do this challenge from my own stash and just haven't sat down to do it yet. Have fun creating! I'm going to guess 120 cards. Good morning, Ginny. Love the cards you put together. My guess is 38. I'd like to guess 50 cards. Have fun creating! Ginny - already following you. Great contest - how fun. Thanks for doing it and letting us guess. Some reason 82 cards popped into my head...so I am going with it. Can't wait to see what you create. I imagine that you will make whatever size and or style that suits your fancy. So, I'm going with 83 cards. So excited to see your creations! Love you! My best guess is 112. Thanks for being so kind!!! Oh, I'm guessing really close to your number, Tara--- I'm guessing #111 (my lucky number-I hope) thanks for giving us the opportunity to win this cool prize pack! I also can't wait to see the cards you made!!!!!! No idea really but pick a number any number *grin*..
What a fun thing to do and really it all depends on how much time you have and how the creativity flows. So I am giving it a go and my favourite number has been taken so I will do it backwards 63 is my number. Happy crafting. That's such a cool idea to cut down your 12x12's!!! I say 35 cards and I am a new follower! Well, Ginny. I think it all depends on whether you make cards like me - or simply lay a sheet onto the card itself - in which case the answer would be 48. But, if it were me - I would be cutting, adding other bits, using up the pieces I cut off on another card....So, you see I would get three cards out of each sheet - but that would be 144 cards in a week! How many hours in a day??? My guess though is 144 - I'll go with my method of making them. I'm not a follower - simply 'cos I don't know how to be, or what it means - sorry - but I had fun guessing!!! Word Art Wednesday and Mojo Monday! Lables and Sentiments - an easy way! Something fun today and a prize!